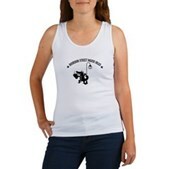 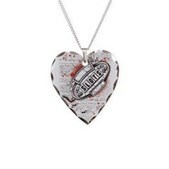 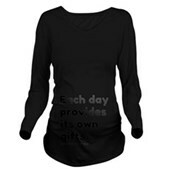 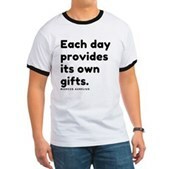 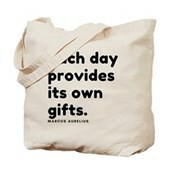 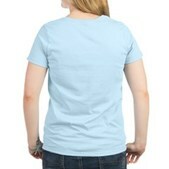 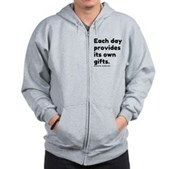 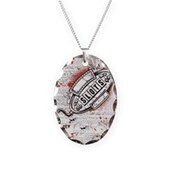 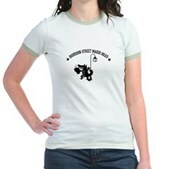 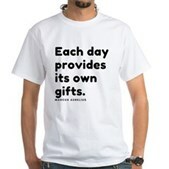 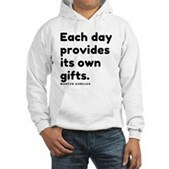 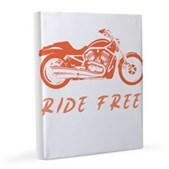 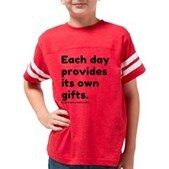 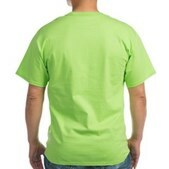 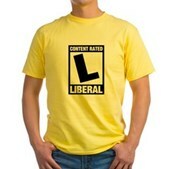 This design is based on the content rating system for video games. 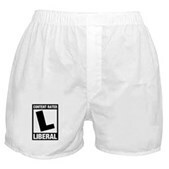 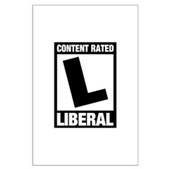 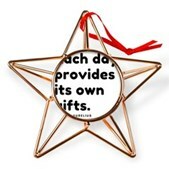 In this case, the label marks you as a Liberal for all to see. 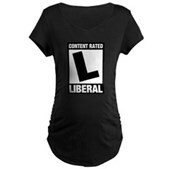 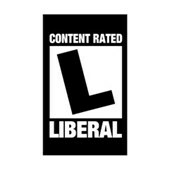 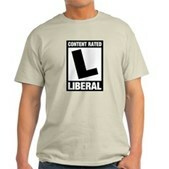 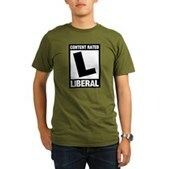 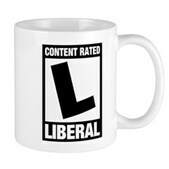 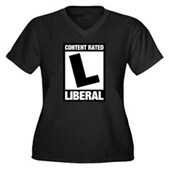 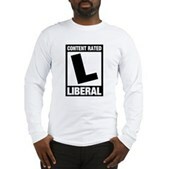 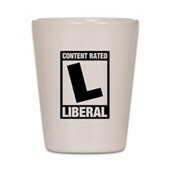 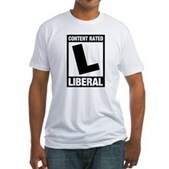 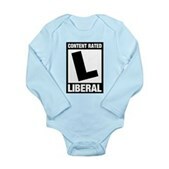 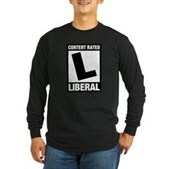 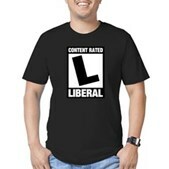 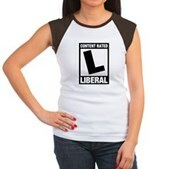 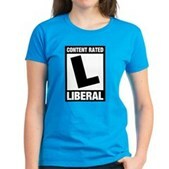 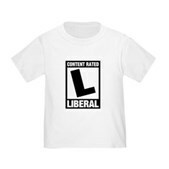 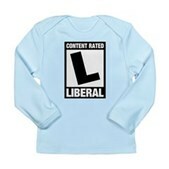 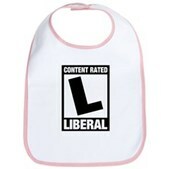 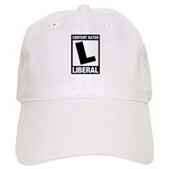 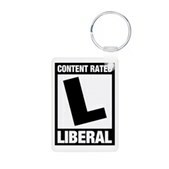 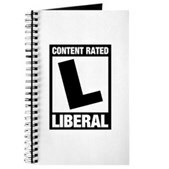 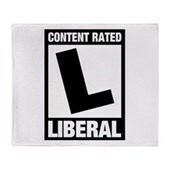 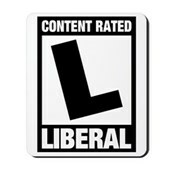 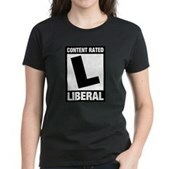 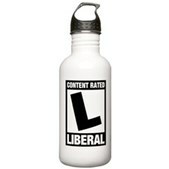 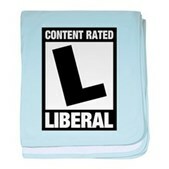 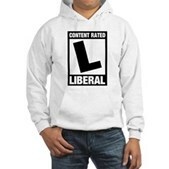 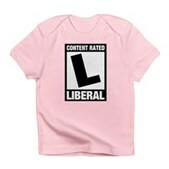 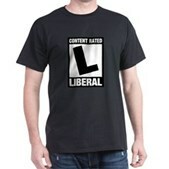 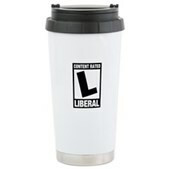 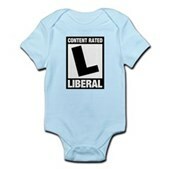 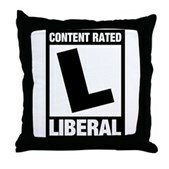 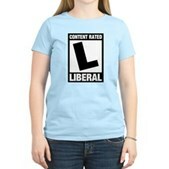 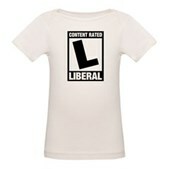 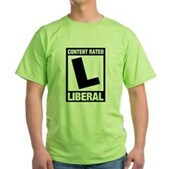 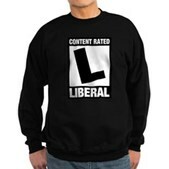 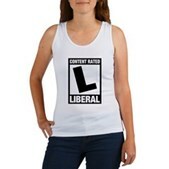 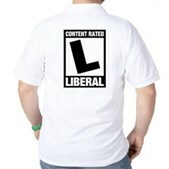 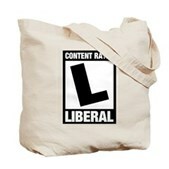 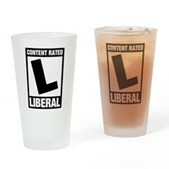 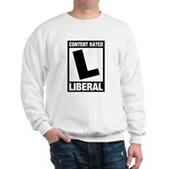 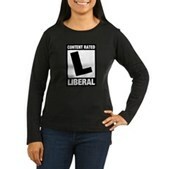 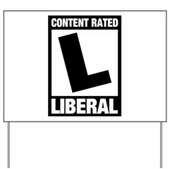 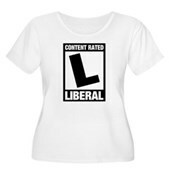 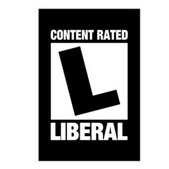 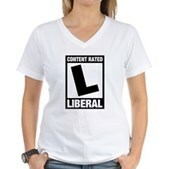 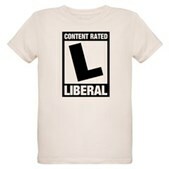 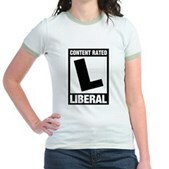 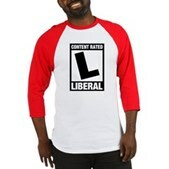 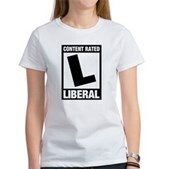 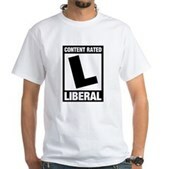 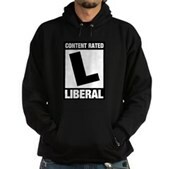 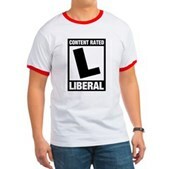 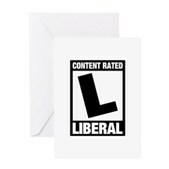 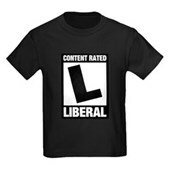 "Content Rated L" for Liberal! 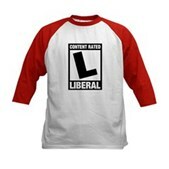 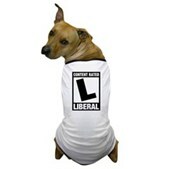 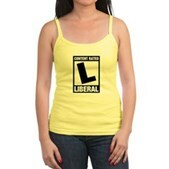 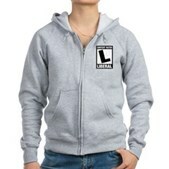 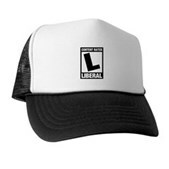 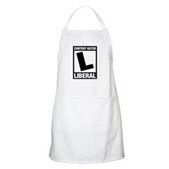 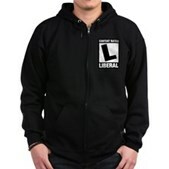 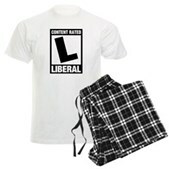 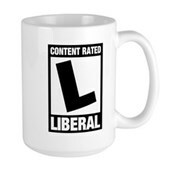 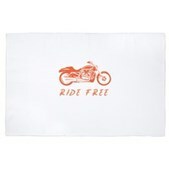 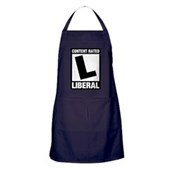 This is great for proud Liberals!